Here is how to buy the Secret Garden of Survival book. To buy the Nook version: click here. 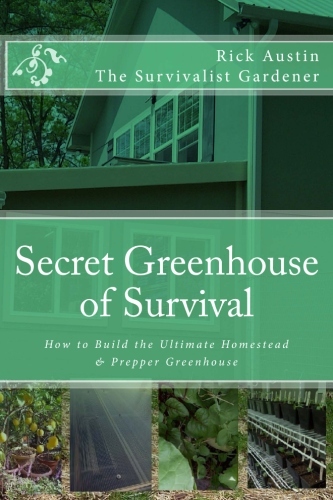 Here is how to buy the Secret Greenhouse of Survival book. CLICK TO BUY THE BOOK ON AMAZON HERE! GET THE NOOK VERSION HERE! 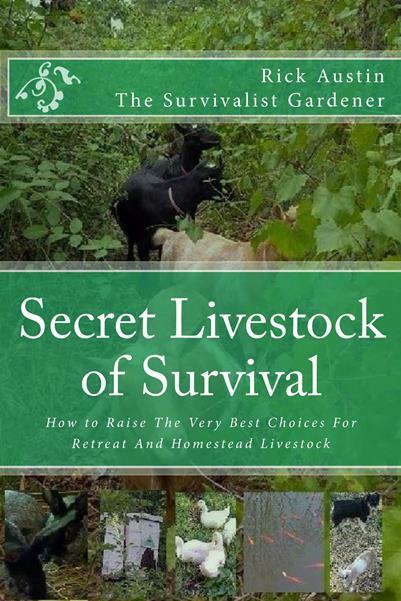 Here is how to buy the Secret Livestock of Survival book. 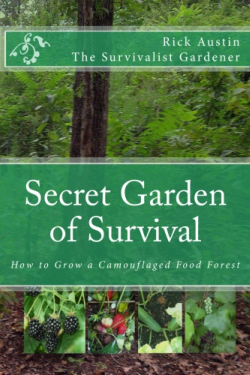 The Secret Garden of Survival(TM) and The Survivalist Gardener(TM), and the Survivalist Gardener avatar all are trademarks of Rick Austin & Aleven Goats Media, Inc. This website and all it's contents are Copyright (C) 2012-2016, Rick Austin & Aleven Goats Media, Inc. All Rights Reserved.